Children aren’t the only ones affected by their cancer. Mom Miriam and sister Evelyn joined forces with another parent, Vivian Cook, to provide assistance to families in the hospital while going through treatment. 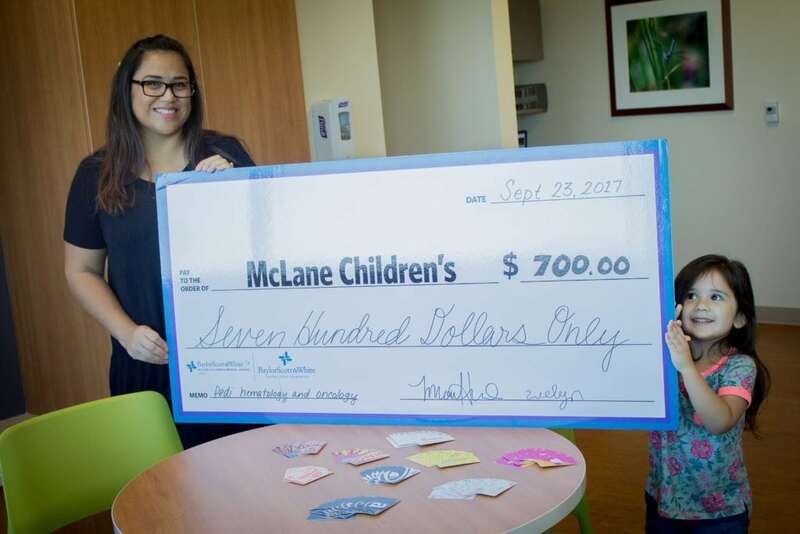 Both of these caring families have seen what a difference these small acts of kindness can make when you spend so many days in the hospital. These caring families hosted a fundraiser at “That Art Place” in Belton to raise the money. Thank you so much for your hard work and support! Next post: Freddy’s opens on 31st street!